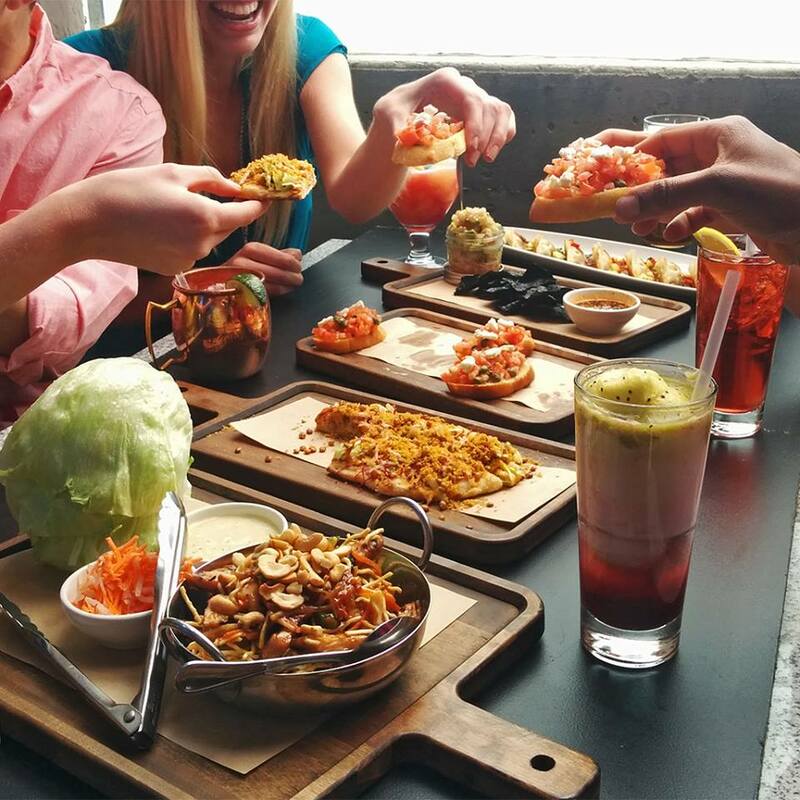 Whether you are searching for a place to grab and go, entertain clients or getaway from the grind to unwind during lunch, Downtown Tampa offers everything you need in restaurants. From casual and quick to dressy and elegant, there is an option for everyday of the week and every situation. 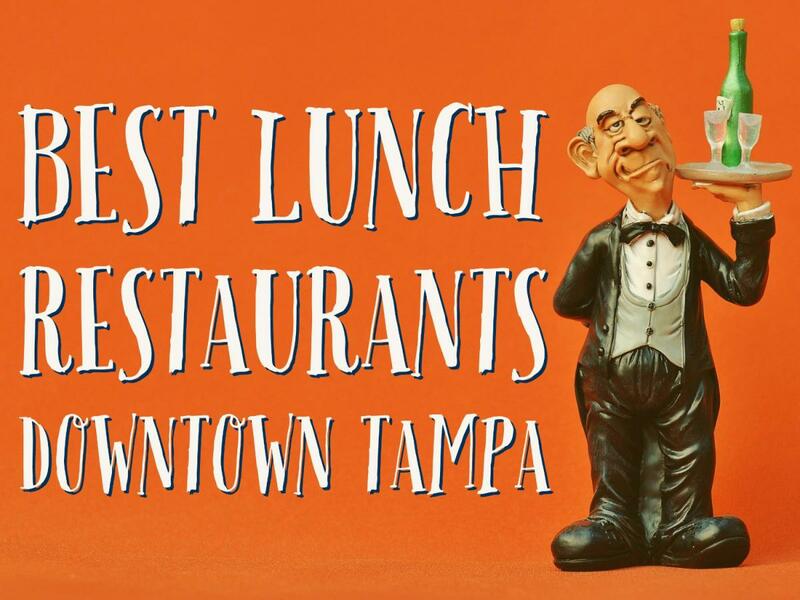 We have tried each of them, several times and hope you find our list of Best Lunch Restaurants Found in Downtown Tampa helpful. Bookmark and come back often, we will add to it as we sample additional Downtown Tampa's restaurants with lunch in mind. Gracing Downtown Tampa since 2013 Anise Global Gastrobar is internationally inspired, serving Asian Fusion, Brunch, and Tapas, including Vegan and a Vegetarian specialties. Located on the first floor of the magnificent Skypoint Building at 777 No. Ashley Drive we spoke with restaurant manager Christina Gilson about this unique Downtown Tampa foodie fave. The first thing you notice when entering the space is it's cool, relaxed environment, let your work cares fade at Anise as you indulge in their decadent food. Anise is all about food, fun and a sense of family, they become familiar with their guests, they strive to "make every meal an experience at Anise", said Gilson. While relaxing take a look around, they are an great event space too! Or pop in on the first Monday of the month for "Wine and Rhyme" during happy hour. 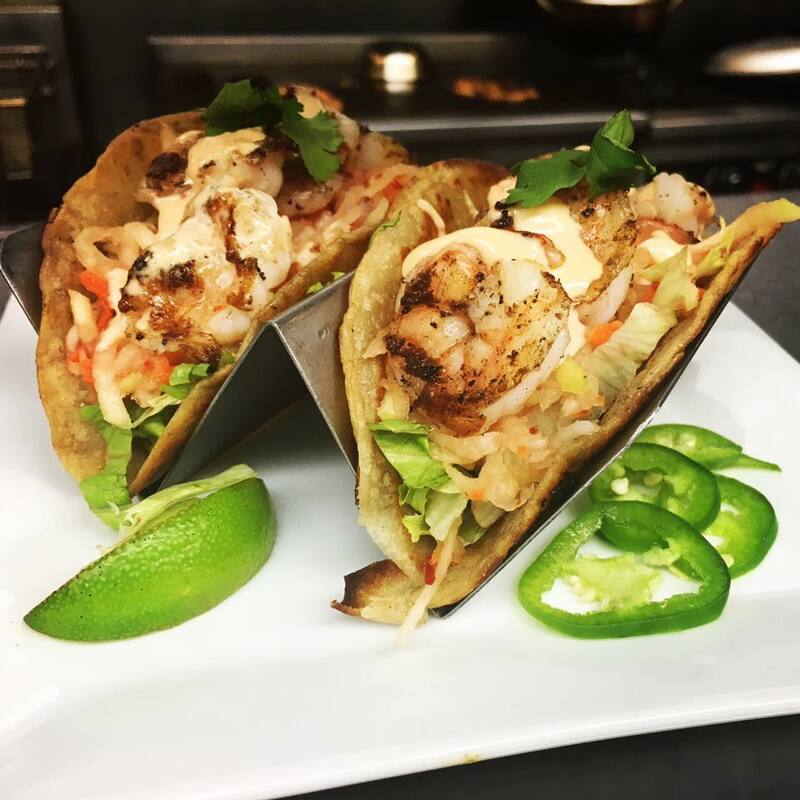 Taco Tuesdays you can order up these babies and add some delight to your day with Lunch at Anise Global Gastrobar. Click on their name above and follow the link to their website to learn more about this community centered eatery. Lynn Pham opened Bamboozle Cafe at 516 Tampa Street in 2008. Following up on her success, four years later she opened the Bamboozle Tea Lounge in Channelside. 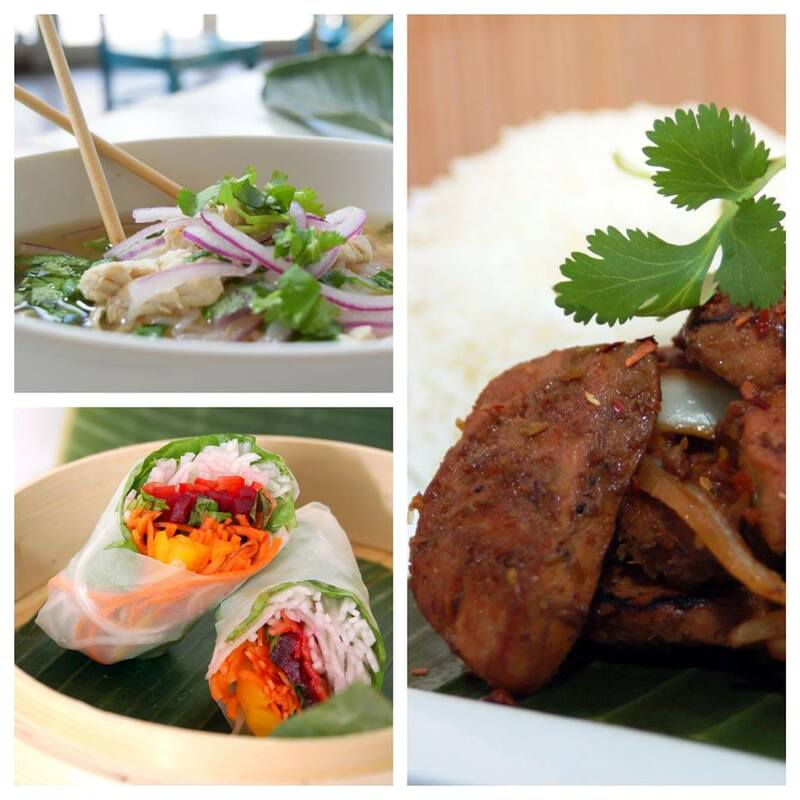 A Vietnamese fusion cafe, Bamboozle serves lunch in the Downtown Tampa location Mon-Fri from 11 am-2 pm. Focusing on healthy eating, Pham's menu offers Asian Fusion, Vegan, Vegetarian and Vietnamese dishes. They have Daily Lunch Specials and serve gluten-free. The Watermelon Cafe Salad with Jicama, Carrots, Pineapple, Cucumber and Mint with a citrus or tamarind vinaigrette is perfect on a hot day downtown. Stop in to see what's on the menu! Conveniently located in downtown Tampa on E. Madison, owner Tina invites you to come out and give them a try. In business two years, Tina's focus is on great food fast, while maintaining Bay City's tradition of hospitality and respect for her customers. Downtown workers have several options when it comes to choosing a place to eat, Tina crates an atmosphere at Bay City where you are known, she wants you to be one her regulars! You are more than a face at Bay City, she treats her customers as friends. 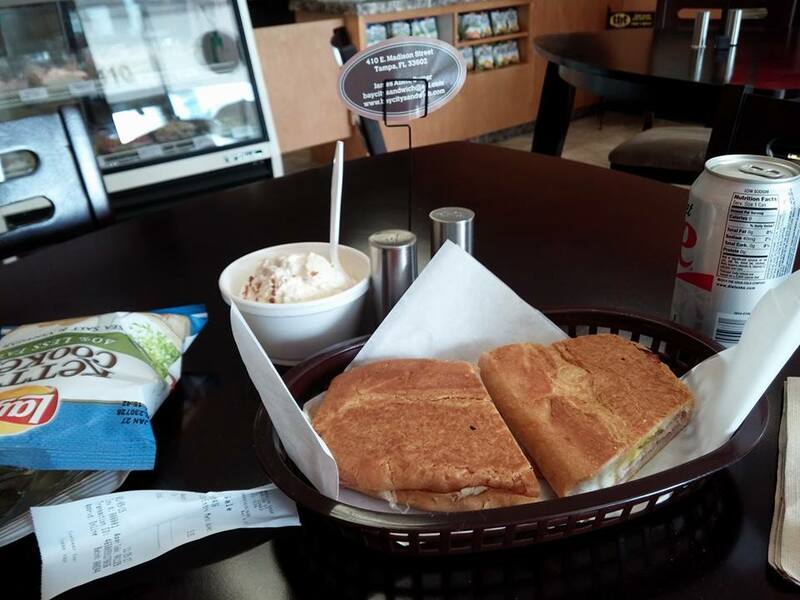 Regular favorites at Bay City include her famous meatloaf sandwich, authentic pressed Cuban and her chicken salad. One thing you DO NOT want to miss is her fresh Lemonade! We'd love for you to stop in and meet the crew, you will be glad you did! Not only does Bay City rock as one of the best lunch restaurants found in Downtown Tampa, Tina is something special! Ready to relax, and dine while gazing across the water of Garrison Channel? 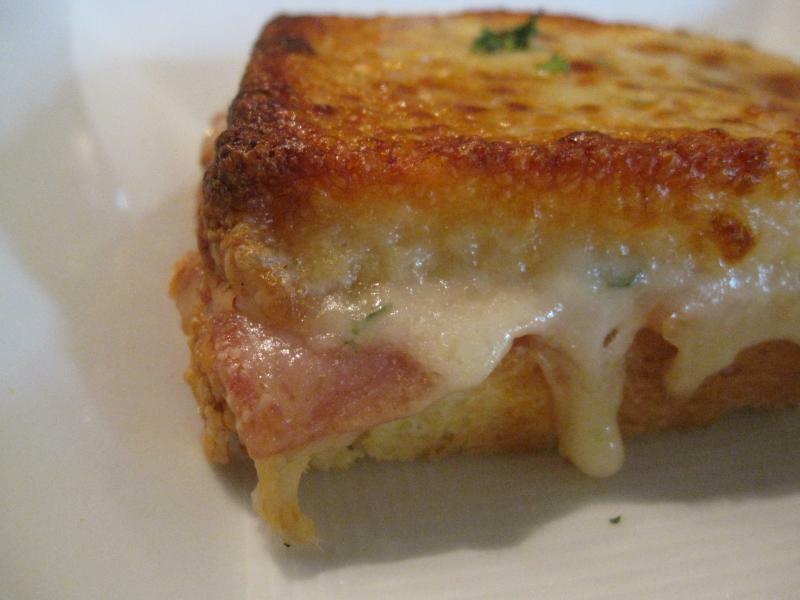 Love modern American Comfort Cuisine? Cafe Dufrain is the place to be next time you head out for lunch. 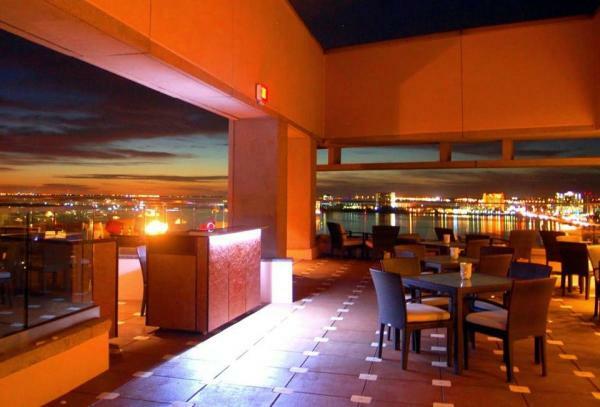 Located on Harbour Island in Downtown Tampa, this hidden gem has an incredible view of the skyline! Serving sustainable, seasonal, comfort food their menu is also organic and locally sourced with Vegan and gluten-free choices. Their Dim Sum is House made, ask about the daily creation, and the sauce on their Dufrain Steak Burger is one of the best kept secrets in town! Be sure to try the yucca fries and if you like brussel sprouts like me, you will love chef's Fried Brussel Sprouts! Get away for lunch without really far, to Cafe Dufrain this week! 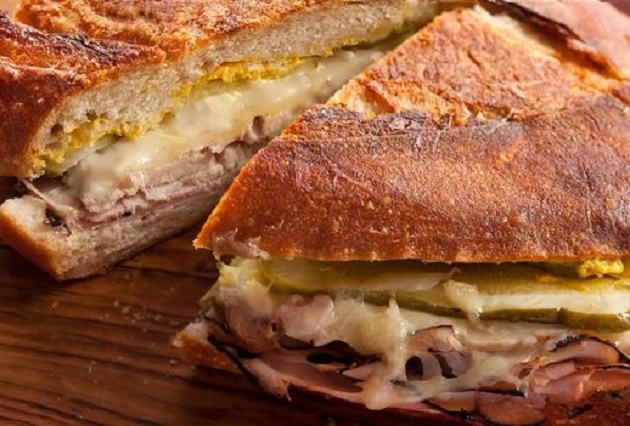 Inside Tampa's premier Tampa Marriott Waterside Hotel & Marina in downtown Tampa, this HUGE sports bar is where you want to go for one of the BEST Cuban sandwiches in Downtown Tampa. Did you know the hotel employs two Cuban gentlemen who make ALL the bread the hotel serves each day. Expect great service and a huge ,well-planned classic bar food menu as you join sports fans and foodies for lunch at Champions. Enjoy the largest TV in Tampa Bay, at 18 feet it's a monster, no reason to miss the game because you are working, head over to Champions and have some fun! Located at the Tampa Bay History Center on Tampa's Riverwalk, the Columbia Cafe offer many of the dishes we love from the Columbia Restaurant in Ybor right here in Downtown Tampa! Open daily from 11 am to 9 pm enjoy the 1905 Salad, Miranda's Ybor City Deviled Crab Croquette and other Spanish favorites like Picadillo, Cuba’s most popular blue plate special made with finely chopped ground beef braised with onions, peppers, raisins, olives and capers. Finish a beautiful lunch along the river dining al fesco, or inside the cafe alongside an original wood bar, and don't forget to finish with traditional Flan or their decadent White Chocolate Bread Pudding. Fusion Bowl , opened January 2015 at 504 E. Kennedy Blvd , is a Vietnamese fusion restaurant offering fresh and healthy dishes for the busy Downtown Tampa area. One of the healthiest cuisines in the world Fusion Bowl creates dishes daily using only the freshest ingredients. Pho, is a popular item, a house-special soup, it is made with chicken or beef bone simmered for hours and flavored with coriander and ginger. Served with rice noodles,fresh herbs,and vegetables. Pho is very popular in Vietnam and you get the BEST Pho at Fusion Bowl! Open Mon-Fri: from 8:30 am - 5:00 pm and Sundays from10:30 am - 3:00 pm you can expect quality food with fast service and delicious flavours at reasonable prices. The décor is modern rustic, and cozy, Fusion Bowl is a great place to relax during lunch or to grab and go! 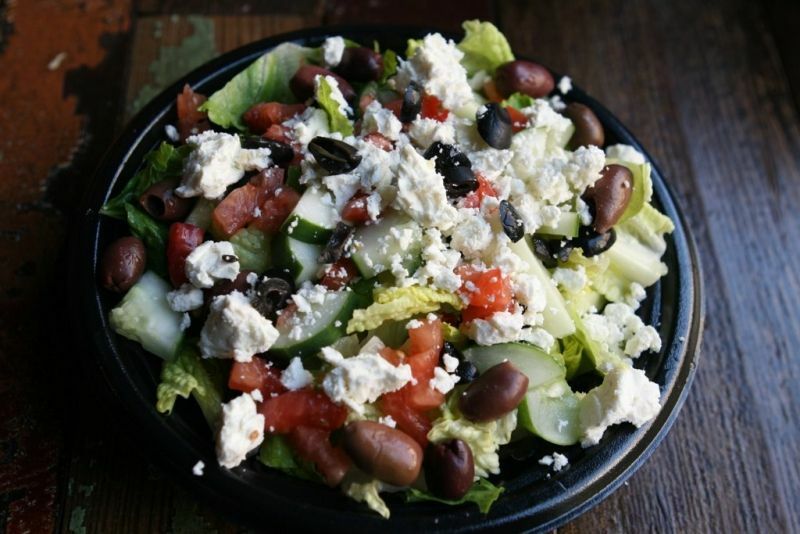 Stop in to see for yourself and enjoy healthy food that tastes wonderful! Jackson's Bistro Bar & Sushi opened on Harbour Island in 1997, because it is locally owned and independently managed, Jackson's can keep up with what Downtown Tampa's workforce wants and needs. Enter Fast Jacks! You have choices now when you cross the bridge to Harbour Island for lunch. 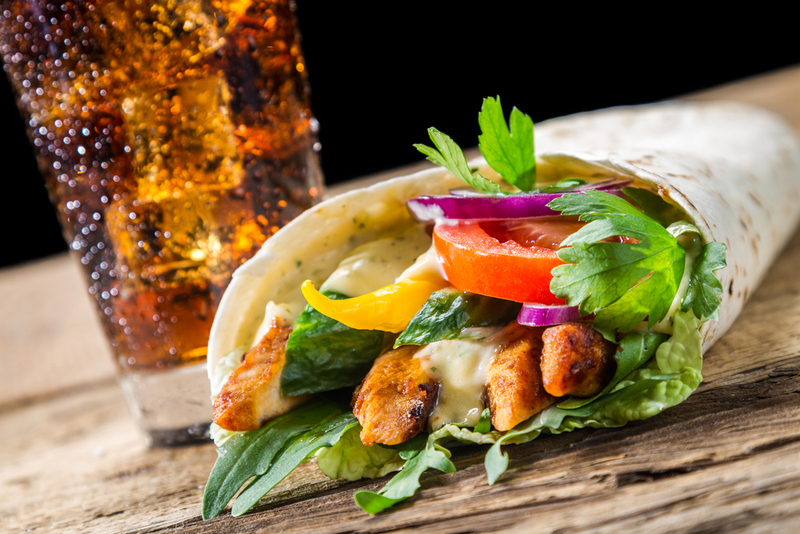 Be seated to dine inside Jackson's on a sumptuous lunch or if you want a quick 'Grab and Go' lunch check out Fast jack's on the East side of Jackson's where you can indulge in perfectly sinful Italian Gelatos, or check out with a breakfast wraps or sandwiches. 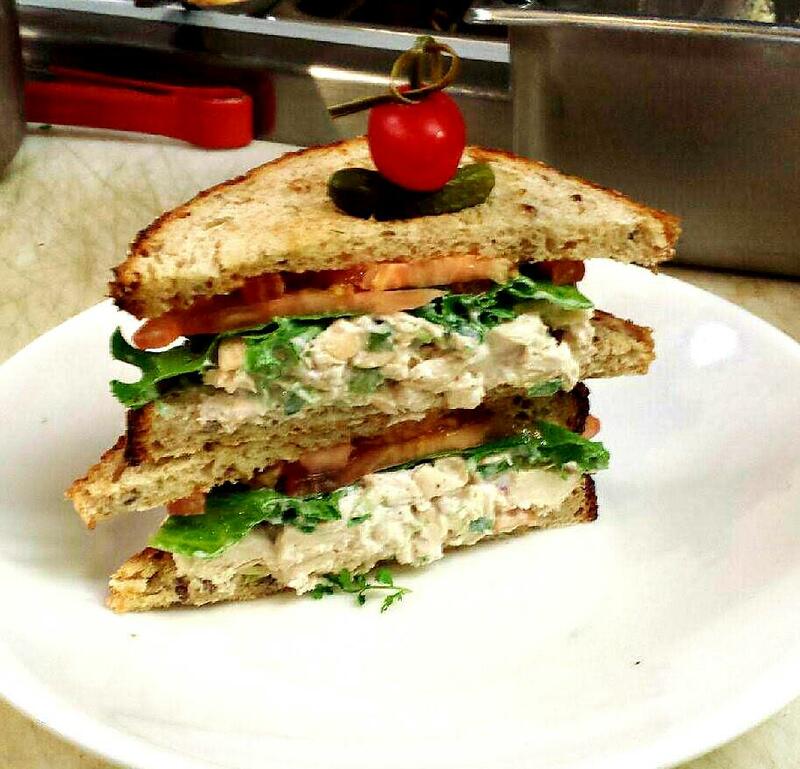 Try the Carved Turkey with sweet onion Jam & Tomato Aioli or the famed Almond Chicken Salad on multi grain bread we featured below. Thinking smoothie on your break? Fast Jacks has a delicious and healthy Kale and Pineapple smoothie and a Chocolate Protein smoothie to keep you going the rest of the day. My favorite is the overstuffed Grilled Vegetable Panini, with Cilantro and a spicy Jalapeno Spread. This cozy yet trendy French bistro-style restaurant serves traditional French cuisine in downtown Tampa at 500 North Tampa Street. Priscilla, a native Parisian, took over the restaurant, relaunching in 2015. Since, she has been delighting the downtown lunch crowd with a new menu focused on healthier versions of French favorites. Breakfast is served 8 am to 11 am Monday through Saturday, while lunch runs 11 am to 3 pm L'Eden's dinner hours are 5 to 9 pm. Wednesday and Thursday, and 5 to 11 pm Friday and Saturday. Malio Iavaronehe opened the original Malio's Steakhouse in 1969 on South Dale Mabry catering to members of what was then a private club. THE place to be and be seen, not much has changed since the old days. Now located in Downtown Tampa at the corner of Kennedy and Ashley in the 'Beer-Can' (Lykes) building, it's thankfully, no longer a private club and open to all. A longtime favorite place to take clients to discuss business over a great meal, you can't beat Malios for a sit down lunch. The free bread alone keeps us coming back. Made fresh daily, it is lightly salted and pure heaven. I've had every item on the menu, yes every one, and can attest to the level of expertise that not only goes into each dish, but the consistency. There were weeks when I met clients for power lunches at Malio's 5 days in a row, Monday through Friday and it never got old! Malio strives to keeps guests happy and meets his goal daily. Ask for a table upstairs, overlooking the esplanade and river, relax and enjoy a great lunch in Downtown Tampa at Malio's. 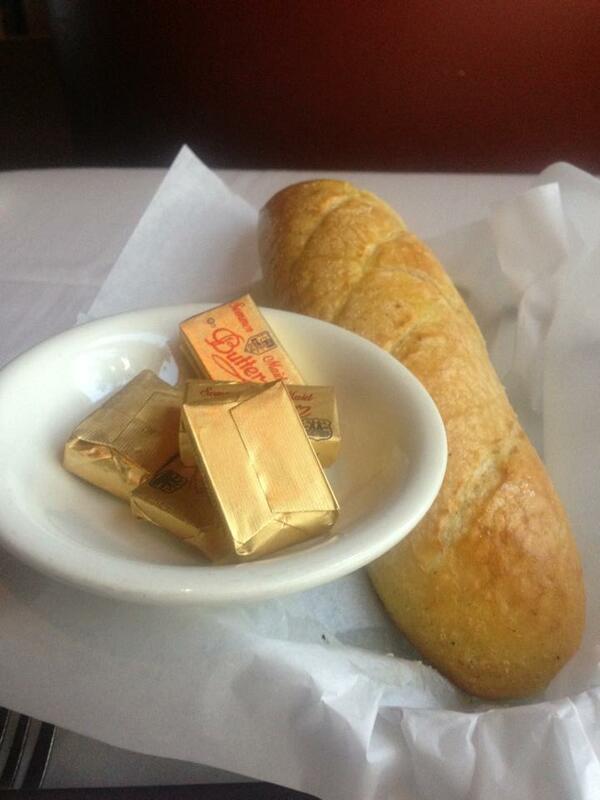 Yes, it had to be a picture of....the bread! If you have had it this picture is killing you right now, if not, you gotta go! A delicious Deli & coffee bar located in Downtown Tampa serving fresh made sandwiches, salads, soups & wraps with emphasis on the word FRESH! Open Monday - Friday for breakfast & lunch they specailize in fresh brewed coffee. Need something catered in for a meeting? Moxie's cater's! A great Downtown Tampa Restaurant to meet friends and break some bread, follow the link above and head to their website to see the menu. My favorites include, well....everything they serve! I especially love their salads!! 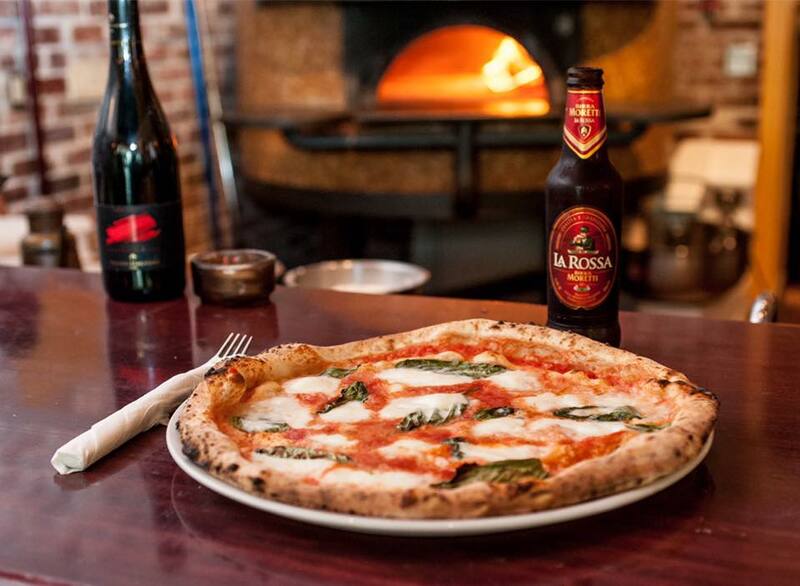 Located in the heart of Downtown Tampa on Franklin Street, Bavaro's Pizza Napoletana & Pastaria features hand crafted, wood-fired brick oven pizzas, home-made pastas and desserts in an authentic Neapolitan pizza & pastaria. The made from scratch menu is 3rd generation, they cook in a handmade Italian oven. 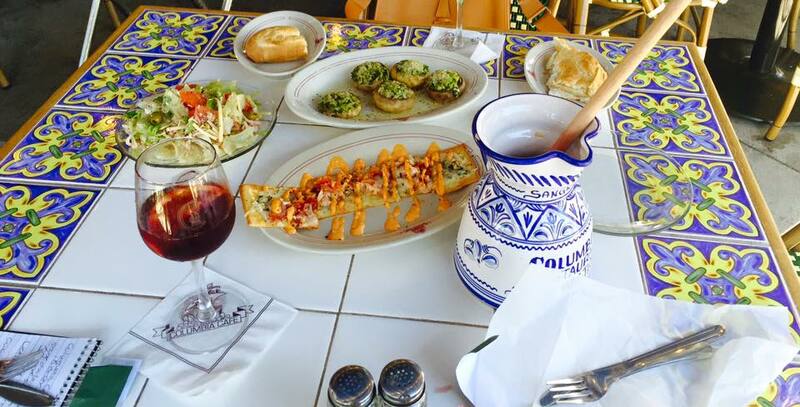 Every detail matters when it comes to the food at Bavaro's, they import only the best of the best. What authentic Italian for lunch? Since 2009 Dan Bavaro, his wife, Anna-Maria, and kids have been satisfying taste-buds at the corner of Franklin and Twiggs, if you want great Italian for lunch, Bavaro's is the place to go in Downtown Tampa! They can also be found in St. Petersburg, Tampa International Airport, Winter Springs. Want to use his amazing sauce in your dishes, you can order online or find Bavaro's products in over 2000 retail locations. yes, it's THAT good! Created in 2016 in the old Loading Dock, Pokey's offers Tampa a British twist, serving an extensive breakfast and lunch menu featuring daily specials of both hot and cold food all cooked from fresh produce. Order up a Full English Breakfast till 11:00 am, after check out their signature sandwich shown below, their Cuban (When in Tampa right!) The Paul McCartney is amazing: Mac and cheese stuffed in between sliced cheddar and American cheese with our without bacon pressed on sourdough bread. They also offer a soup of the day, large portions, and are great about making lunch the way you like it - check out thsi wonderful NEW place for lunch in Dowtnown Tampa on Madison at the corner of Ashley. 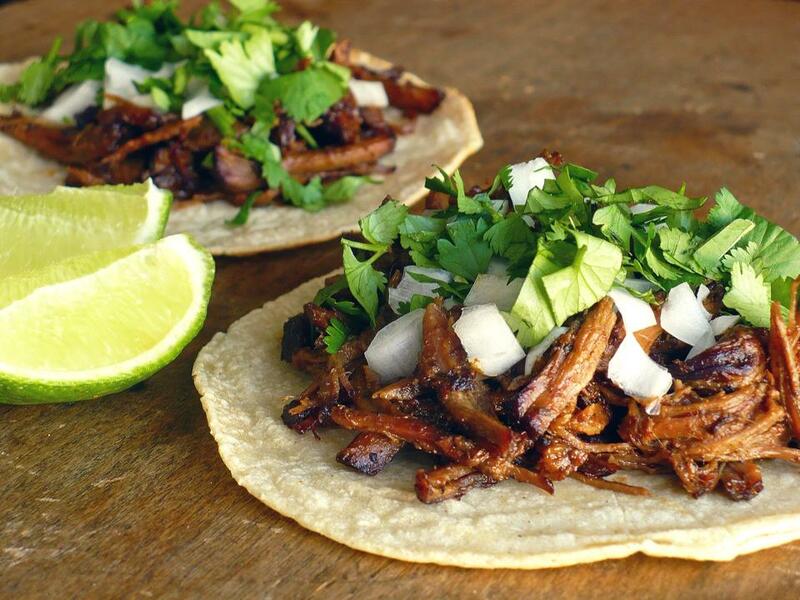 Located in the heart of Downtown Tampa, the Urban Cantina Mexican Restaurant serves authentic Mexican entrees. A colorful place to get your juices flowing again and your mind in the right 'frame'. Pssst....Tacos and beers are only $2 on Tuesdays! At 200 E. Madison Street it's a quick walk from all of the 'towers', stop in today to see what the special is and enjoy! Faves include Buffalo Chicken Burritos and their Enchiladas too! 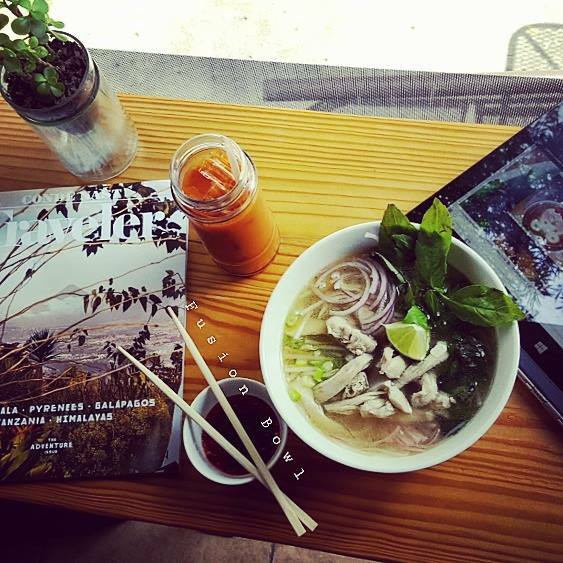 This is but a few of Downtown Tampa's top options when it comes to Lunch, bookmark Best Lunch Restaurants Found in Downtown Tampa and come back to this article often as we update it adding the BEST Tampa offers to it's downtown lunch crowd. Feel free to suggest your favorites in comments below, we will check them out and add them to this article for you. Next time you tell a friend, "Let's Do Lunch" and stop to decide, hmmmm, but where.....look here!